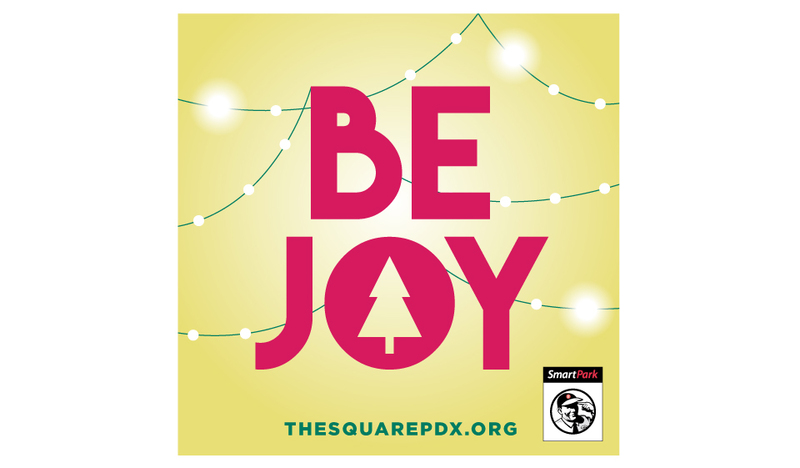 Pioneer Courthouse Square asked me to design their “grand re-opening” graphics for the Square that coincided with the Winter Series. Kicking off the holiday season in the Square, the banners and signage welcomed everyone to the events, from the Winter Ale Festival, Tree Arrival, Tree Lighting, Tuba Christmas, to all the Figgy Pudding Caroling events. In addition to the designs, I also created the concept this year. With the world feeling so crazy right now with so many tragedies, I thought about how important it is that people come together. The Portland living room is the perfect place for people to gather and be together and that we are “better together” – more joyful, more supported, more productive and happier. But, I wanted an empowering statement, so instead of letting tragedies and negativity get you down and waiting for help, why not BE the JOY that you are seeking, for the good of someone else? 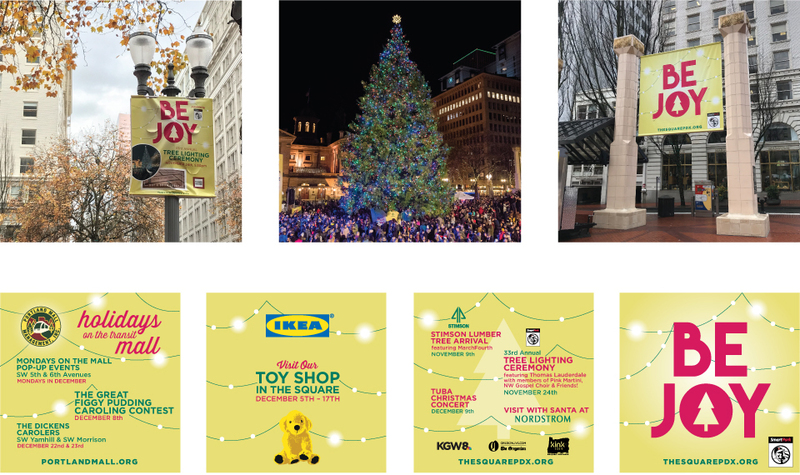 Designs included: Square banners, Street Pole Banners, A-frames, Tree Lighting program and signage, stage banners, tree surround, tree truck banners, VIP credentials, Figgy Pudding promo, ads and much more.